OCEAN PEARL, a 115-foot Christensen motoryacht, is offering a 4 day/3 night all-inclusive special for the Catalina Island JazzTrax Festival off the coast of California, USA! She has four cabins and can accommodate up to 11 guests! RATE for 3-night Jazz Festival Charter: US$25,000, all inclusive! This is a fantastic deal for families and couples wanting a special weekend away! What a wonderful way to cruise the Coast of New England. The WANDERBIRD is well suited for this coastal cruise with heated cabins and toasty heated mattress pads along with our coach house woodstove to keep the Fall Chills outside where they belong! This coastal voyage calls at many famous New England villages AND crosses Stellwen Bank for a good opportunity whale and pelagic seabird sightings!! The air is clear and cool and the scenery never ends on this coastal voyage! We will also offer coastal navigation and watchkeeping lessons to those who are interested. 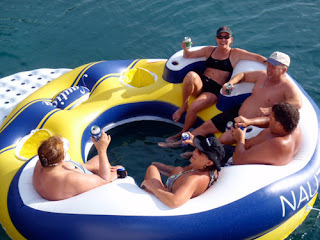 Captain Rick expects Wanderbird's Steamer Cruise to book up quickly so contact us ASAP for your bunk to adventure! 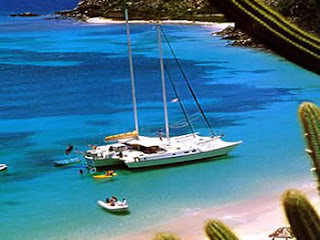 Wanderbird will be chartering in the Caribbean this winter out of Culebra, Spanish Virgin Islands. 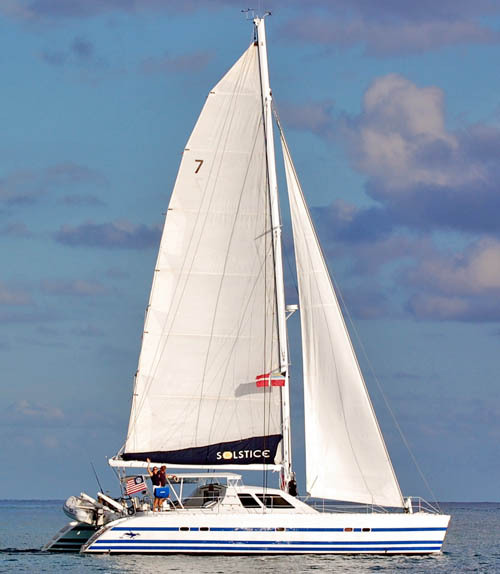 Charter catamaran SOLSTICE for your sailing vacation this holiday season with no additional holiday supplement/premium. Solstice has a 5-night minimum and does not have any date restrictions. If you'd like to charter December 25 - January 1, for example, that's OK! The charter catamaran SOLSTICE, a 47-foot Lagoon, is owned and operated by Liz & Cliff who are entering their 7th season of full-time chartering in the Bahamas. Solstice is fully air conditioned and accommodates up to 6 guests in 3 double cabins with ensuite head/shower. There is also a single berth available in the center of the starboard hull. Solstice has an 11-foot dinghy with 15HP motor, 2-person kayak, snorkel equipment, fishing gear, floating mats, satellite radio, flat screen TV/DVD, internet where available, etc. Cliff is a dive instructor and diving is available for certified and non-certified divers. Diving is dependent on conditions, typically 2-4 times per week for up to 4 divers, and only one or two dives/week for 5 or 6 divers. 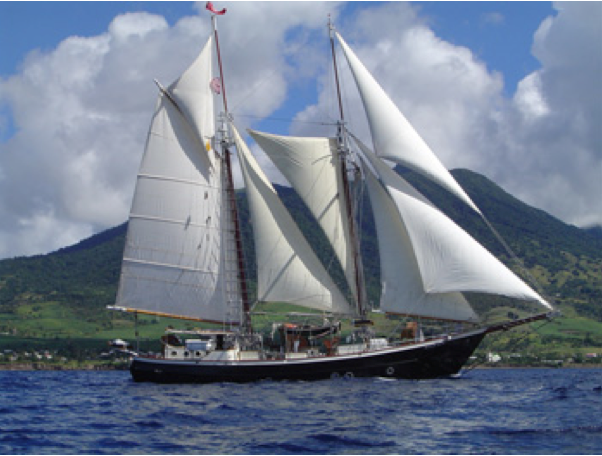 Enjoy sailing under a New England harvest moon aboard the Schooner BONNIE LYNN ! Currently in Maine, BONNIE LYNN is available from now through October or early November 2010 anywhere in New England. BONNIE LYNN offers very comfortable accommodations for up to 6 guests and is ideal for couples and families alike. Three spacious guest cabins and two adjoining guest heads & showers are located in the private, forward area with crew cabin and crew head & shower located aft. Starboard guest cabin has double bed & port guest cabin has double bed which can convert to single bed with day couch. The forward guest cabin has a starboard bunk that pulls out to a large double and to port a lower single & small upper double. 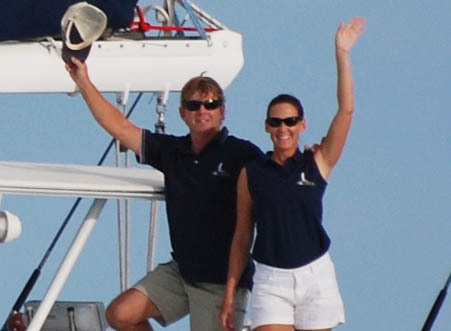 Peter and Ruth of the motoryacht Analisa, has a special offer for this upcoming holiday season. 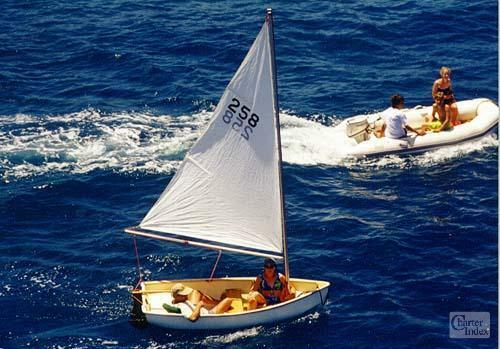 Book 10 nights on Analisa over Christmas and New Years and pay NO holiday surcharge. Comfortable inside and out !!! 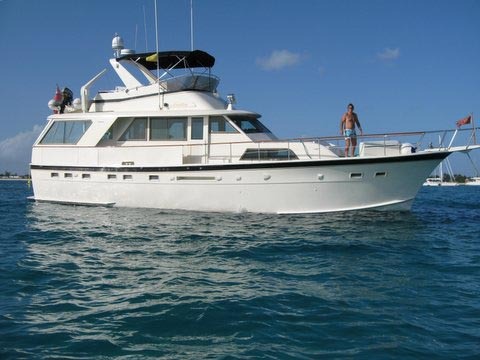 Analisa is a 60-foot Hatteras motor yacht available for charter in the Virgin Islands. Analisa is fully air conditioned and can accommodate up to 4 adults and 2 children. Analisa can also be booked for a 7-night Christmas or 7-night New Years charter, but a 10% holiday surcharge will be applied to their standard weekly winter rate. 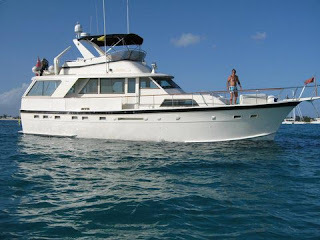 We are happy to announce that the Sail / Dive Charter Yacht Promenade has scheduled a cabin cruise week for 2011. 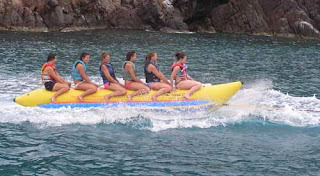 Kerry plans to only offer one of these charter-by-the-cabin weeks for 2011. They are very popular so don't delay... Contact us ASAP. One thing different about this year's cabin charter week is that you have your choice of booking either SIX or TEN nights aboard, plus a FREE sleepaboard if you wish. Saturday, February 12: Complimentary sleep over if desired. Boarding after 4 PM, in Roadtown, Tortola. No services included (ie, dinner and breakfast on shore). 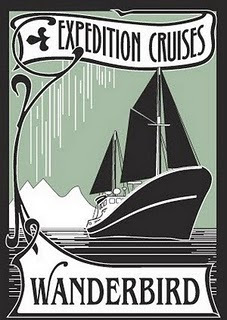 Includes: All meals aboard and ship's standard bar, cruising taxes, port taxes, overnight air conditioning and all on board ship's toys. 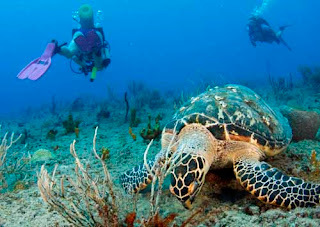 This will include SCUBA diving for any CERTIFIED divers on a casual basis. Breakfast is a casual affair on board. Excludes: Transportation to and from the yacht, including plane and taxi fares. Any meals and beverages you choose to have on shore. You will be responsible for one dinner ashore on the ten night package only. BC and Regulator rental, if needed, is $150 for the charter period per person. 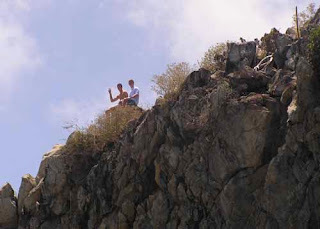 Don't forget the crew gratuities for the "cabana boys"! $1700 for someone willing to share a cabin with someone else. You may luck out and get it to yourself, but then again, you may not. This is for one of the aft twin/king cabins. Promenade is a fully air conditioned, 65-foot trimaran with a beam of 35 feet, that accommodates up to 10 guests in five cabins. The two forward cabins are Queens and each have private, ensuite head/shower. The aftmost center cabin is a Queen, while the port and starboard aft cabins can be configured as either twins or a king. The aft 3 cabins share 2 heads/showers. 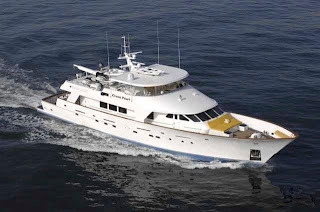 The charter yacht Catamaran TRUE NORTH will be located in Belize and Panama next summer 2011. The owner & the crew of TRUE NORTH are pleased to announce that the yacht will head to the Western Caribbean for the Summer of 2011. 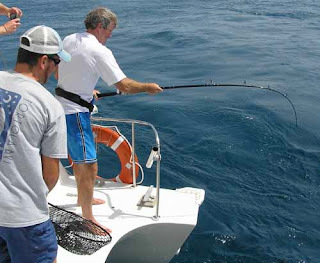 From mid-May through the end of July 2011, TRUE NORTH is available for charters in Belize. 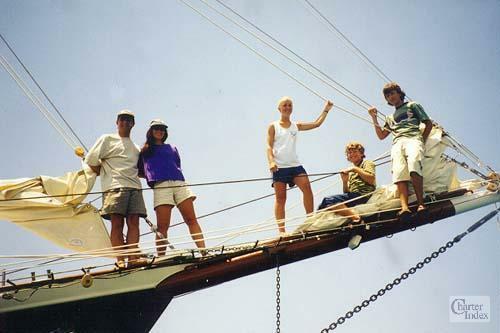 Crew John & Maxine White will then take TRUE NORTH south to Panama where the yacht is available for charters in Bocas del Toro & the San Blas Islands through October 2011. 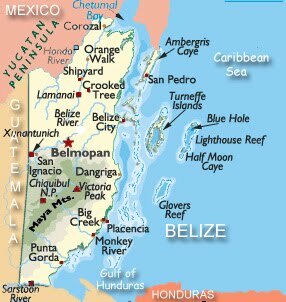 The experienced crew, Max & Whitey, know this area well from past years when they chartered their own yacht in Belize & Central America. 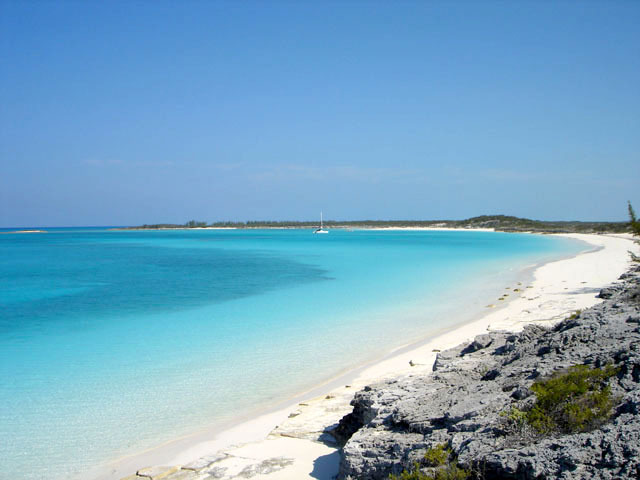 One of their favorite itineraries is to welcome guests on board in Ambergris Caye, San Pedro, cruise along the Barrier Reef to Turneffe Atoll and Lighthouse Reef with it's spectacular Blue Hole. Belize offers outstanding snorkeling and diving and, as always, scuba diving from TRUE NORTH for certified divers is at no additional charge! Traveling to Belize is easy with direct flights available from many US cities, and then a short connecting flight to Ambergris Caye where Max and Whitey will be waiting to welcome guests aboard TRUE NORTH. Dates on TRUE NORTH's calendar are already booking -- don't miss an opportunity to book this fabulous yacht in a beautiful & unique location. Matau is a 2006 74-foot custom Jeanneau Privilege catamaran which accommodates up to 8 guests in 4 cabins. The master cabin has a large ensuite bath with Jacuzzi tub, double sinks, separate toilet & shower room. The other three guest cabins each have a queen berth and ensuite head with stall shower.